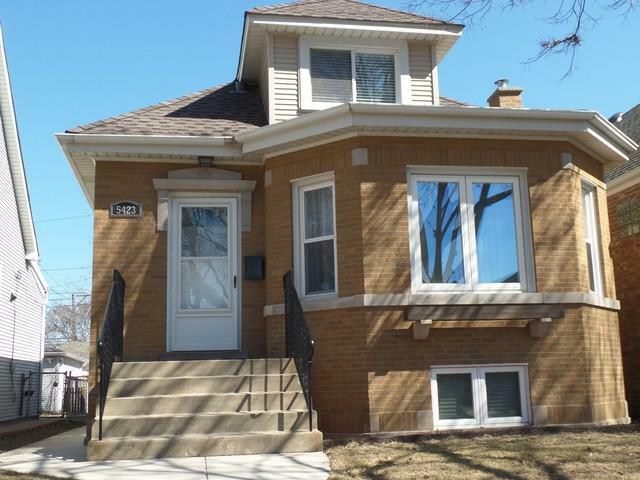 Rare Gem Brick Bungalow updated throughout. LR & DR with audio system provides open entertainment space. 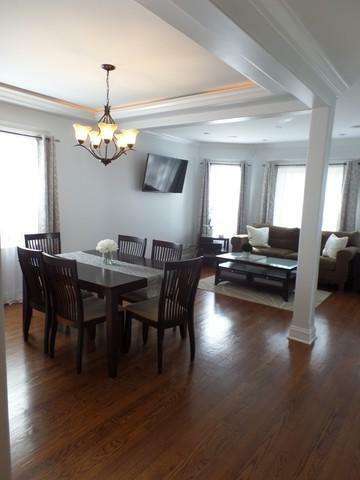 Elegant dining room complimented by lighted crow molding. 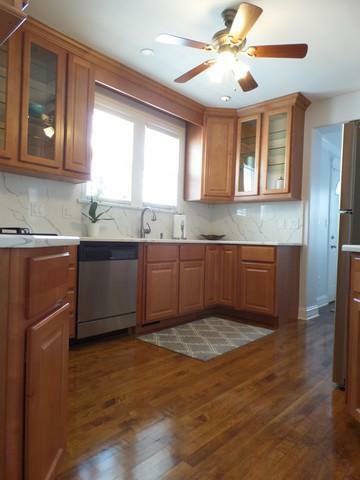 Exquisite kitchen with 42' cabinets, new white quartz counter top, full high backslash, SS appliances. (refrigerator 2018) Bonus room offers home office. 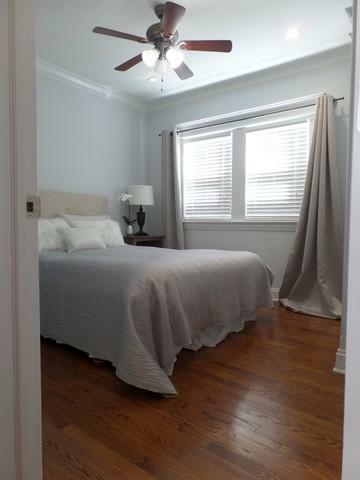 Main floor features hardwood floors, recessed lighting and beautiful crown molding. Incredible walkout lower level houses large rec area, full wet bar with granite counter top, full bath with granite shower and counter top.The picturesque exterior has stone pave patio with gazebo & fence -in yard great for grilling and outdoor enjoyment. Full of modern and high-end upgrades! Power vented furnace and hot water tank, copper pluming, updated electric, new roof, new concrete sidewalk, new tuck pointing. Brick 2 car garage with new roof, gutters. Freshly painted. This fantastic bungalow is walking distance to Blue Line and close to Hwy 90/94.Nothing to do but move in and enjoy!